Thinking about setting up a truckmount-based carpet cleaning business? Want to graduate from portables to truckmount performance? Need to expand your business at a lower cost? 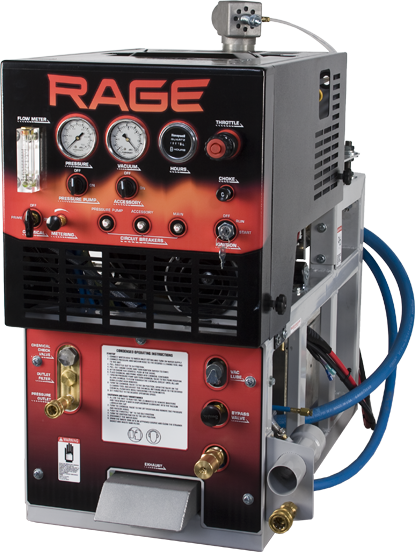 Get the Rage, offering high quality components and superior engineering in a truly affordable package. The Rage is brought to you by the same engineers that design and build the Sapphire Premier line of premium truckmounts. Features premium components, durable construction, and the state-of-the art engineering that has made Sapphire one of the leading truckmounts makers.